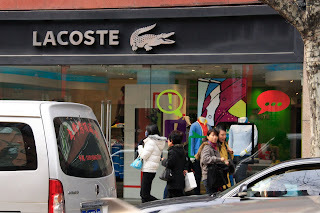 OK, so everyone knows the French sportswear brand Lacoste, right? Those ice-cream coloured polo-shirts? Chinese people love Lacoste. Like really love it, to the point of obsession. 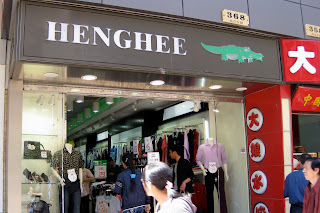 It's quite common to see couples in matching pink polos, cute little green crocodile on the pocket, just hanging around outside the shop in order to absorb the cool European vibe. 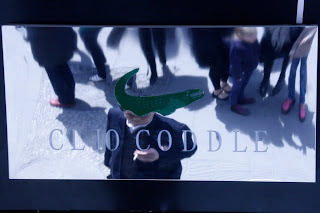 Lacoste have obviously been too successful though, and have managed to spawn an entire industry of (apparently) legal rip-offs. 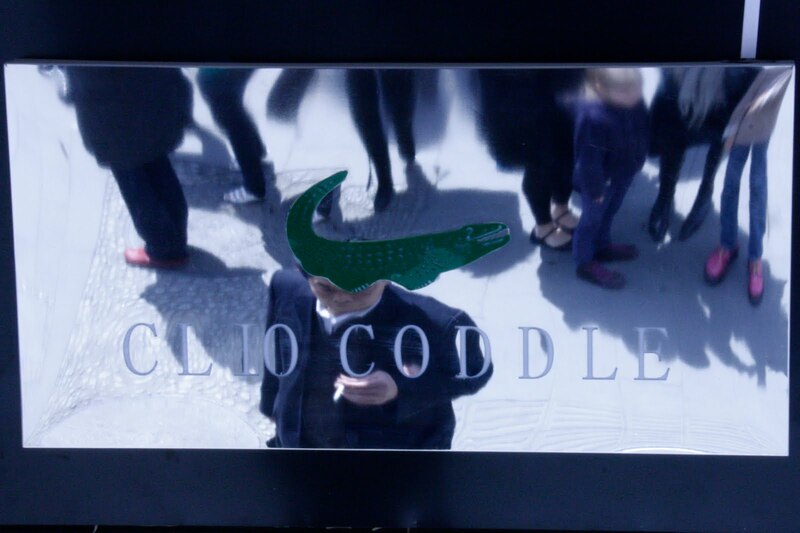 So now for every Lacoste store, there are approximately fifty rip-off merchants selling much the same stuff, only cheaper. 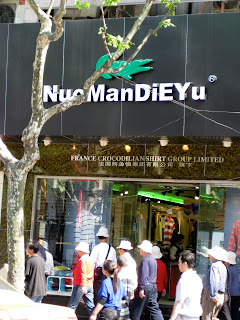 Copyright infringement? Are you kidding? This is CHINA. 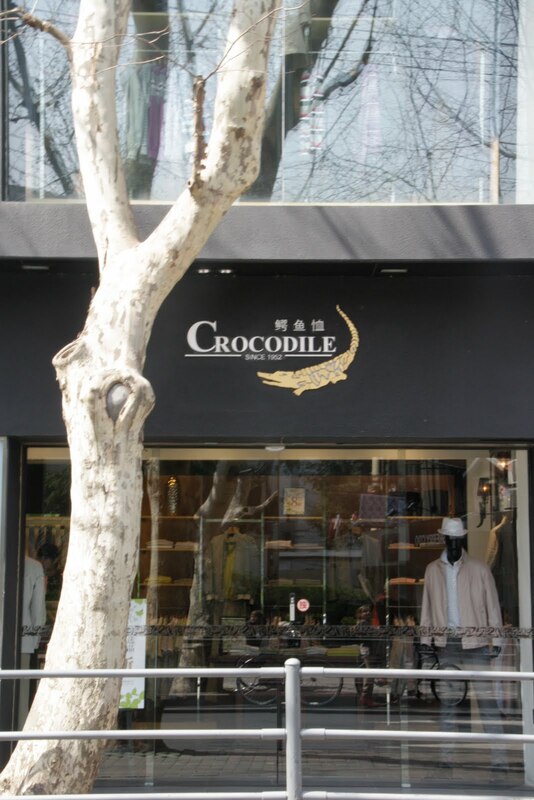 Firstly, we have 'Crocodile'. Not very imaginative, but probably the top of the bunch, and 'SINCE 1982' lends an air of credibility. If it's true that is. 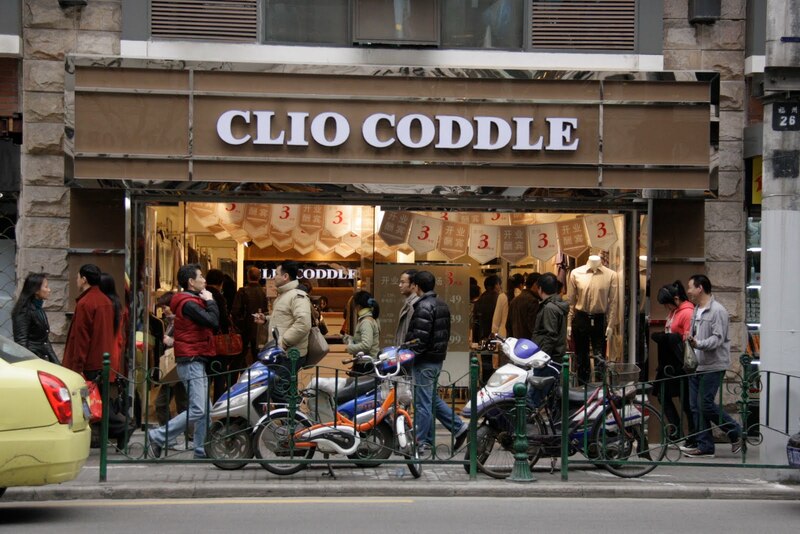 Secondly, my personal favourite, Clio Coddle. Say it fast. Faster. Now with a Chinese accent. Geddit? Things must be on the up and up for these guys, because they just opened this very fancy branch in Beijing. Lastly for the fake crocodile shops with totally random names. These are at the low end. 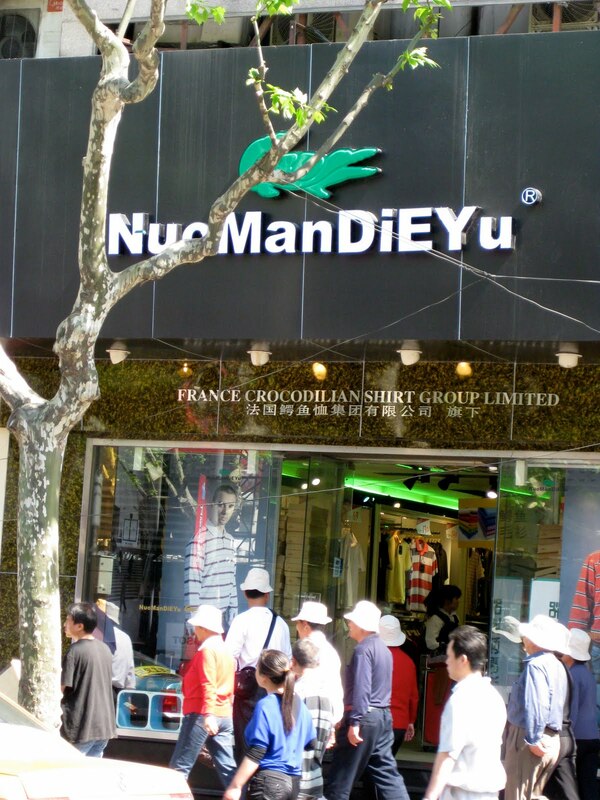 The NuomanDiEYu 'France Crocodilian Shirt Group Limited' wins hands down for the most obscure, apparently meaningless and totally unconvincing name, with random use of capitals. But you know what? They sell a truckload of polo shirts.